Prince George, B.C. – As wildfires continue to rage on in the Cariboo, the number of evacuees seeking refuge in Prince George continues to increase. In an update this morning, the City of Prince George says as of last night, 2,700 evacuees have registered in Prince George, including over 600 children. 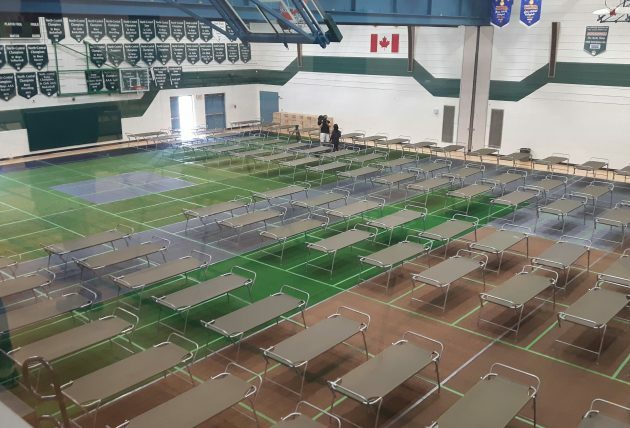 Of that number, nearly 200 beds at the College of New Caledonia were full last night and evacuees were utilizing the Northern Sport Centre at UNBC. In all, 215 evacuees are utilizing beds at CNC and UNBC. The rest have made alternate arrangements for accommodation with others staying at RVs/trailers or in commercial lodgings. The City says the extra evacuees has meant the diversity of services being offered at the CNC emergency reception centre continues to increase. Professional services are being delivered by Northern Health, the Canadian Red Cross, the Salvation Army and RCMP Victim Services. Finally our population is growing. Let’s hope they can get home soon with everything intact.